The E30 M3 is widely acclaimed as BMW Motorsport’s finest creation. Touring car legends Roberto Ravaglia, Johnny Cecotto, Jim Richards, Frank Sytner and Will Hoy won a total of twelve championships for BMW in five years, a truly remarkable record. Redux have subtly enhanced the E30 M3’s iconic box-flared silhouette, aiming to capture how BMW might have continued to develop the motorsport legend after the Sport Evolution model. The end result was non-negotiable, the M3 enhanced and evolved by Redux must look and feel like an evolution of a BMW Motorsport factory vehicle. The DTM, BTCC and WTCC variants developed by the factory and private teams contributed too. As the race cars evolved, homologation rules dictated the changes must be replicated on the M3 road cars. Hence the hand fabricated, Group-A inspired mechanical components are complimented with period correct design features from the race cars: engineering excellence and meticulous attention to detail. The interior is tailored to the individual preferences, whether opting for a DTM-inspired look and feel with minimal distractions, or a more refined and comfortable driving position:, Redux will ensure it matches the customers specifications down to the very last detail. To start the process a donor E30 M3 undergoes a bare shell restoration and complete mechanical overhaul, with every major component either updated or replaced. Group A-inspired, hand fabricated front and rear assemblies improve the handling characteristics. Lightweight aluminium monoblock wheels and bespoke 3-way dampers ensure a balanced and responsive ride; large rotors with powerful 6-piston front and 4-piston rear calipers stop you safely in all conditions. By today’s standards, the naturally aspirated 2.3l and 2.5l, 4-cylinder S14 engine should be overwhelmed when competing against the brute force of its 6- or 8-cylinder siblings. 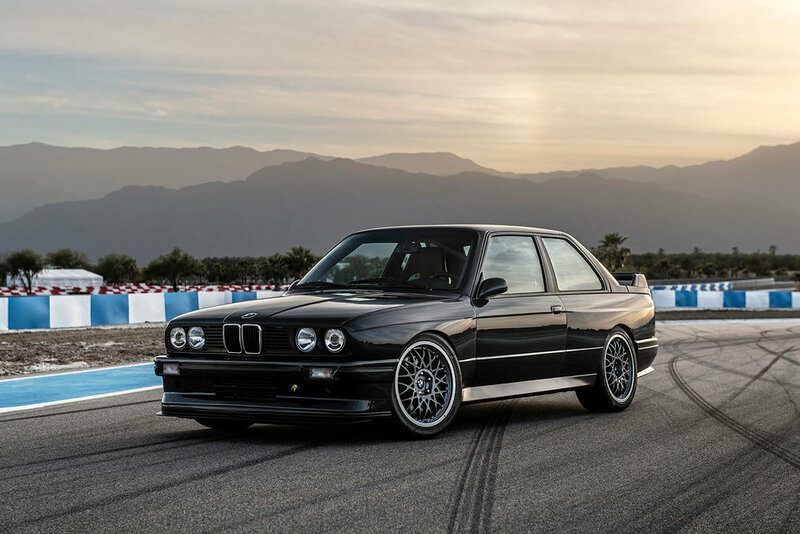 However it’s the E30 M3’s agility and balance which led former F1 driver Jean Alesi to describe it as ‘the sweetest-handling machine’ he could think of. The multi-championship winning M3 race car set the bar so high in saloon car racing, BMW achieved the ultimate prize, the most successful road race car in history in terms of outright wins; never mind class wins or even championships. 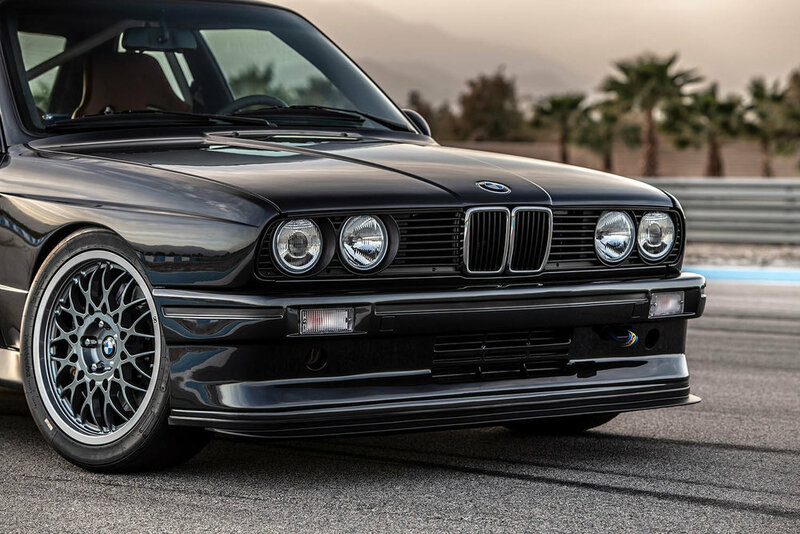 The E30 M3’s power-to-weight ratio is improved with Redux’s re-engineered naturally aspirated 2.5l S14 engine, and significantly enhanced by the turbocharged variant. The decision to offer a turbocharged S14 was not taken lightly. Whilst delivering a significant increase in both horsepower and torque, equal consideration was given to improving reliability and efficiency. Working on the theory of this being a development car for future generations of the M3, this option corresponds with BMW’s current range of turbocharged engines whilst also paying tribute to the infamous F1 World Championship-winning 1.5l, 4-cylinder M12/13 ‘Megatron’ turbo engine.